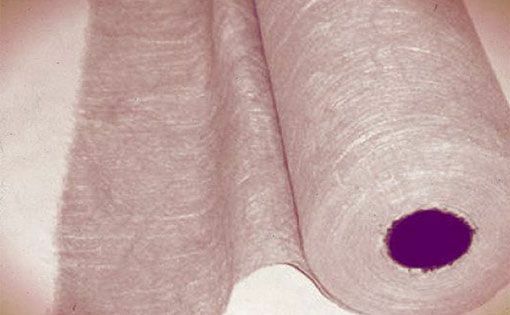 Manufacture of geotextiles started in India in 1985-86. Munish Tyagi takes an informed look at the road travelled since then. The landscape for geotextiles looks optimistic. It is marked by major players like Garware Wall Ropes, Technofab India, Kusumgar Projects and others including Strata GeoSystems and Skaps Industries. Some of these players have started providing design assistance to users in the infrastructure sector. There is also a strong presence of international names and MNCs like Fibertex Nonwovens, Maccaferi Environmental Systems, Tencate, Terram and Hueskar. Under technical support from National Jute Board and Coir Board, there has been renewed focus on use of natural fibres like jute and coir, especially for use as geotextile, as underlay for rural roads. India is a large producer of natural fibres like jute and coir and their use in geotextiles, especially for rural road applications, has led to savings in overall costs and good technical results. Greater focus needs to be directed to these natural resources in India for production of environmentally friendly geotextiles that are locally sourced and locally consumed. Geo-synthetics are virtually holding up contemporary civilisations. They are being used increasingly for all conceivable situations in civil engineering and infrastructure projects. These cover construction of roads and expressways, airport runways, railway embankments, sea side platforms, retaining walls, drainage and seepage control works and water management including river training projects. Despite the inherent qualities, use of geo-synthetic materials in India is yet to pick up due to low awareness of its potential and end uses. India has the second-largest road network in the world covering approximately 23 million kilometres, so the growth for geo-synthetics and geotextiles can surely have far-reaching and multi-disciplinary applications. Geotextiles are cost-effective. So, overall demand is expected to grow. Moreover, their engineered and technical parameters retain enhanced performance amidst all terrain and weather conditions. The civil engineering vertical is already using about 100 million square metres of geo-synthetics and geotextiles, and it is projected to grow steadily at 10-12 per cent per annum. The growth over the past three decades may not have been phenomenal but it has been steady. With an average GDP rate of 6.5 to 7 per cent, India is the fastest developing economy. Liberalisation has brought large infrastructure projects for new highways and roads, railway tracks, airports and seaports, power plants and water management systems like dams and canals. Planned spending on infrastructure alone in the ongoing 12th National Plan is estimated at US$ 1 trillion, which will surely promote the use and consumption of geo-technical products. Growth in demand and applications for geo-synthetic material and geotextiles can only be exponential once the government makes it mandatory to use these advanced materials in sectors like road construction, airports and seaport projects, dams and canals. Two major segments that may turn into even bigger consumers are the Indian Railways and defence establishments. This will boost domestic production and reduce current imports, besides reiterating the government's Make in India initiative. 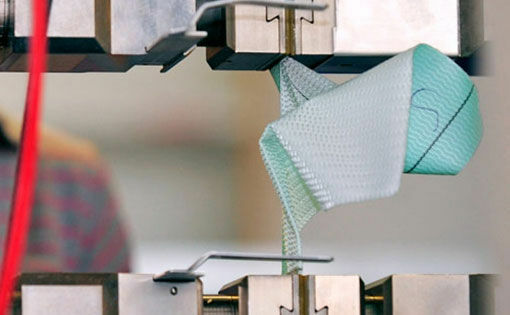 Technology for production of geo-synthetic textiles, including geo-technical sheets, geo-membranes, geo-cells and geo-tubes, is evolving fast. They are being welcomed especially in civil engineering including construction of rapidly expanding infrastructure projects in India. This was clearly endorsed in the 2nd Global Summit on geo-synthetics held on 19-20 May at New Delhi. It was attended by leading international and domestic manufacturers and key research institutions like the Indian Institutes of Technology, Central Coir Research Institute, National Jute Board, Indian Railways and the Ministry of Textiles and Ministry of Road Transport, apart from a battery of domain experts. 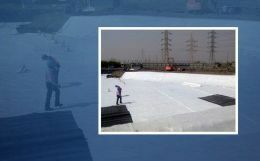 The road map for increased applications leading to growth in domestic demand and production lies in addressing needs of key sectors already experiencing the benefits of the end uses of geo-synthetics and geotextiles in terms of quality and effective cost. The Indian Railways, with a network of 61,000 km, is amongst the largest in the world. About 99 per cent of this network is in broad gauge. New tracks for dedicated freight corridors and high speed trains are already on ground for implementation by or before 2021. This opens huge opportunity for expanded demand and consumption of geo-synthetic and geotextiles especially for use as soil underlay and for rail embankments. Other equally important and bulk-consuming segments are for roads and highways. 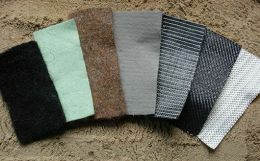 The textiles are being used increasingly for reinforced walls, road under-bridges and road over-bridges. In addition to the perceived increased use of geo-technical materials in military projects, other fields where they can be used include inland water transport systems, inter-basin water transfer systems, landfills for solid waste management, canal and coastline protection and landslide mitigation in hilly areas with unstable terrain. The sector requires development of and adherence to quality standards and performance codes under the umbrella of the BIS or some similar designated body or council.